PestNow Your Pest & Termite Control Service in Virginia! Bed Bugs, Roaches, Stink Bugs, and Termites. In your home or in your yard, we've got ya covered! Need pest or termite control services? We cover a wide area of Virginia, West Virginia, Maryland & D.C. We can rid you of ants, ticks, spiders, termites, mosquitoes, and so much more! Keep your lawn looking like new with the PestNow Year-round Lawn Program! We offer FREE inspections and written estimates. Mosquito & Tick Season is Here! 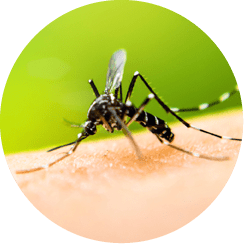 Being exposed to a simple bite, mosquitoes can spread devastating diseases such as the Zika Virus, Malaria, Chikungunya, and more! The New Generation of Pest Control that offers pest free energy savings! This insulation helps keep bugs out and comfort in. 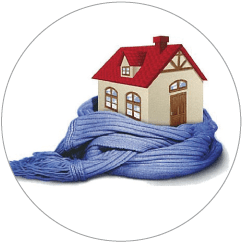 What is your home insulation doing for you? Getting rid of pests like ants, bed bugs, termites, mosquitoes, and more is our specialty! Extremely satisfied. The workers are very professional and polite. I schedule my appointments when it is convenient for me - no hassle or contracts to worry about!! Had ants streaming into the house. PestNow was able to get to us quickly and their Tech Terry Greene was prompt, courteous, thorough, and clearly explained everything I needed to know. Ants were gone just as he promised! We used PestNow at our old house when closing to take care of a minor pest problem. The experience was so good we've signed up for the annual service package at our new home. Every technician we've had has been professional and extremely friendly. 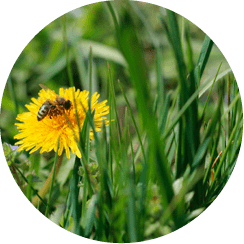 The majority of the time we end up getting an education on the insects being treated and how they interact with us and the environment. We are very happy to continue using their service. The entire team at PestNow is just outstanding! They are professional and friendly. I have been with PestNow for 10+ years and I have to say their quality of service just keeps getting better and better. 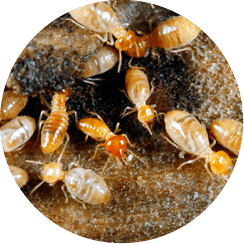 They have taken very good care of my home by providing such services as termite inspection and quarterly service treatments. I am extremely happy and always satisfied with the level of service. I would like to say Thank you to the PestNow team for all that they do and continue to do! A very happy and satisfied customer. Copyright © 2019 PestNow, Inc.
PestNow is Licensed & Insured. Locally owned & operated.